2 Bedroom Detached Cottage For Sale in Nottingham for Offers Over £300,000. 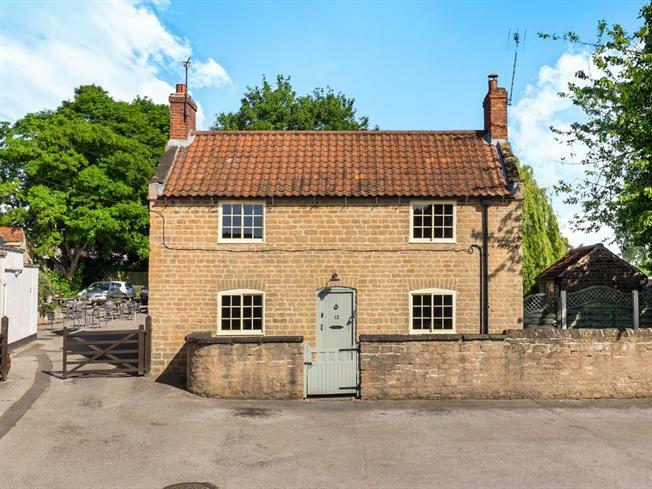 Stunning Grade II listed Cottage in a beautiful location which has been refurbished to high standard and you could just move your furniture straight in. The accommodation briefly comprises of entrance hall, dining room, lounge with log burner and stone surround, finally there is a refitted to high standard kitchen. To the first floor are two double bedrooms and brand new four piece bathroom suite. Outside the property to the front is a courtyard area and to the rear is a large enclosed garden with gated parking at the rear, there is also a stone built outbuilding which would be an ideal office or utility. Front hardwood door and built in storage cupboard. With hardwood sash window to the front, feature radiator, log burner style gas fire with restored stone surround and flagstone tiled flooring. With hardwood sash window, feature radiator, log burner with restored stone fireplace and flagstone tiled flooring. With hardwood stable door to the garden, hardwood sash windows to the side and rear, range of wall and base units with solid wood worktops and breakfast bar. Belfast style sink, integrated double oven, induction hob and modern extractor fan. Feature radiator and flagstone tiled floor. Hardwood sash window to the front, radiator and feature fireplace. Hardwood sash window to the rear, feature radiator, his and hers pedestal sinks, low flush WC, single enclosure shower, freestanding claw foot bath with mixer tap with feature tiled wall at the back with feature lighting.